First of all, I do believe that in quality, Milan did marginally improve the squad in January. Bringing in Honda and Essien, and taking Rami and Taarabt on loan should improve the quality of play. Certainly, they have more collective experience, which is very helpful after Milan cleaned house with the Senatori over the past 18 months. Honda is an especially great talent, even if he is cup-tied for the Champions League, a quality player and professional likely at the peak of his career. As for Essien, he is a world class player, with amazing experience, but there is the concern of his fitness, as he did fail the first medical due to his past knee problems. But if his knees hold up, having him on an 18 month contract could prove very helpful. Rami and Taarabt are more of a gamble. At 28, Rami is nearly an ideal age and height as a center back, but is also a ticking time bomb behaviorally. Taarabt is 24, which is actually a good age to bring into the squad, but also seems to have character issues and has been called lazy, so a bit of a risk. But both of those players are only on six month loan deals, so it is hard to argue against them. 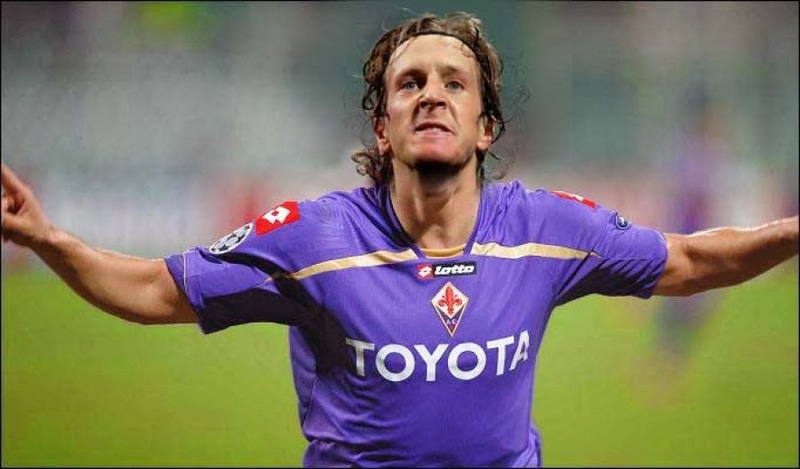 From a purely personnel point, the mercato would then seem to be positive. We also brought back the young Petagna, who may actually get more playing time at Milan than he did at Sampdoria. We loaned out Niang, Matri, Vergara, and Nocerino, all on 6 month loan deals. I think most people would like to see Niang and Vergara come back, but are hoping the other two are sold. Which would be ideal, but the transfer market is never ideal. And keep in mind, all four players still belong to the club. So if we want any of them off the books come summer, we will have to find a club who wants them, get them to agree to the transfer, and agree to terms as far as the financial side of things from both sides. We very likely may lose money on the deals, especially Matri, coming so expensively. That is, if they want to leave. They are at a big club, getting paid more than they are worth, and with our injury problems, are nearly guaranteed playing time. But those big fat contracts that our management gave them give them the right to stay. Even worse, like we did with a number of players, we hold them until they are free transfers, so lose money on them. So if you take off the Galliani-colored glasses, with four sent out on loan, one coming back from loan, two purchased, and two brought in on loans, we actually have one more player in the squad than we did on January 3rd, and two more players on the books. This after most agreed that we needed to shrink the squad. A bloated squad means less playing time for everyone, especially our younger players. 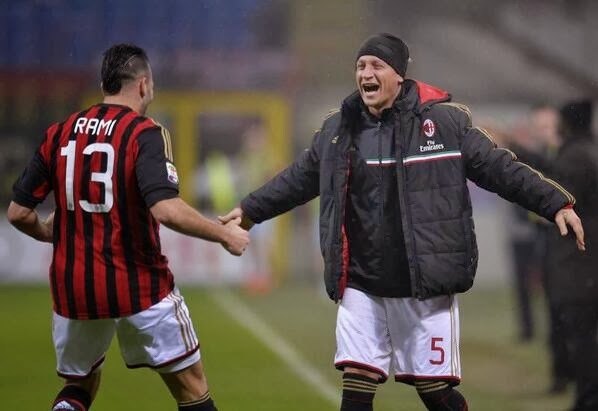 When you bring in older, experienced players, they are naturally going to get the playing time that the youth players would have, as even the most committed-to-youth managers are going to play a Honda or an Essien ahead of a Saponara or a Cristante. Which is a shame, and impacts the development of those players’ and their careers long-term. But that’s not all. At the beginning of the 2012-13 season, Milan had an exciting average age of 26.4 years old, with only 4 players over the age of 30. 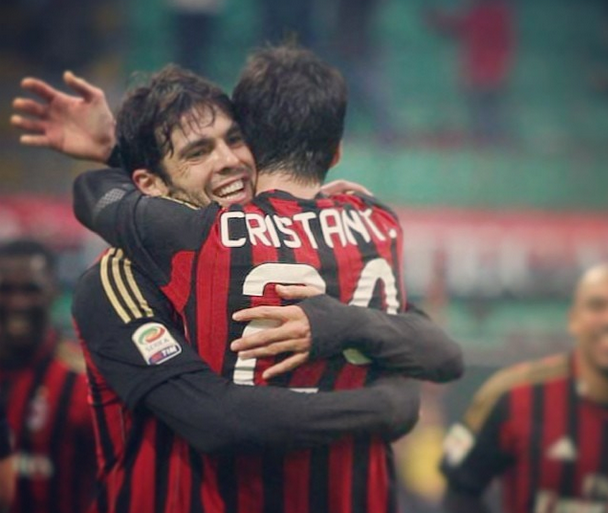 At the end of last summer’s mercato, having added players like Coppola, Silvestre, Matri, and Kaká, the average went up to 27.2, with 8 players over the age of 30. Now it is 27.4, with 9 players over the age of 30. As we add experience, we also raise the average age of the squad, something that became a problem before the mass exodus of the Senatori. In addition to doubling the number of players over 30 years old, we currently have five more players in the squad who will be turning 30 this year. That would be 13 players 29 or older in the squad (plus two more potentially coming back from loan in the summer,) or half our squad And the irony is, again, that by adding experience, we decrease the odds of young players getting playing time, thus increasing the chances of them going on loan or even sold. We have a number of very talented youth players coming up through the ranks, but the management have made it clear that they have neither the time nor the patience to nurture youth. So let’s talk wage bill. Milan have been slashing our wage bill since the summer we sold Ibra and Silva. For example, the total club wage bill was reportedly €160m in 2011-12, €120m in 2012-13, and down to €105m in 2013-14, but this mercato saw us raise wages again. And the question remains, is the quality of Milan players equivalent to the wages? With such a significant decrease in the wage bill, many feel that the quality level has dropped even more sharply. One is on a six month loan, the other one of our top wage earners. But which has more quality? It all seems so subtle. But in the end, we are making the same mistakes again. Keep doing what we have always done, and we will keep getting what we have always gotten. 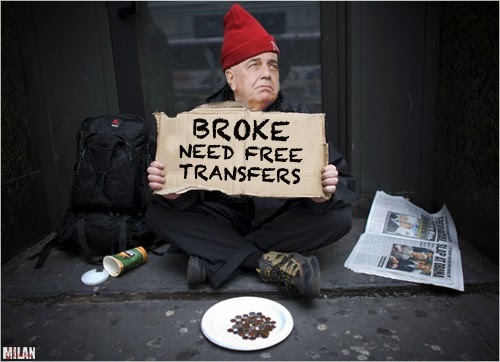 Galliani gets free transfers, which translates to higher wages. So spend nothing on a one-time expense to spend more money on a recurring annual expense. Buy players on a deal because they have had injuries and/or disciplinary problems, and then you have a squad with (wait for it…) injuries and disciplinary problems. You roll the dice, it pays off sometimes, you try to ignore the others. Our wage bill is on the rise again, and our average squad age is higher than you think, as we still have a handful of youngsters left over from that “youth project” we were force-fed 18 months ago to keep the average a little lower. Speaking of the “youth project,” that lasted about six months. And yet in spite of that, a squad that was younger and less talented had better results than this season’s much older squad. Huh. Too bad we didn’t just stick with that. But now we have Seedorf. And everyone is convinced that he will be given every tool he needs to succeed in his new “project.” And while it’s hard to argue that he won’t, being “the chosen one,” even management are being cautious here. All of those position-specific coaches he wants? Well they aren’t here yet, are they? Seems like even management want to wait and see what he can do for the first six months before they spend like that. And then there is the summer mercato. Or this “new project” with Seedorf at the helm, This is where the hopelessly optimistic “wait and see” idealism comes into play. The same optimism that people had over and over before, only to be dashed by poor results or a squad that was not competitive. There is no magic wand to decrease the squad size, to balance age and experience, develop youth and buy quality players to be competitive. It is a process that takes a lot of money, wisdome and/or time. But Milan have run out of money, and don’t seem to have the wisdom or the patience of time, evidenced by the “youth project” that lasted only six months. Management may be committed to Seedorf now, but do they have the discipline it takes to give him the balanced squad he needs over time? The short-sighted purchases of this transfer window point to a resounding no. No one expected every problem to be solved in January, I certainly didn’t. In fact, bringing in Rami & Honda, with the promise of multiple players leaving would have been a perfect mercato for me. But the fact that we have 30 players now instead of 29, with no guarantee of people leaving in summer is a massive red flag for me. This is not a problem that is solved in a single transfer window, this is a disease. A bloated roster with an aging squad (at least the Senatori had quality and lots of experience,) and the same poor habits we have seen time and time again that caused so many of the problems we have been having financially (like until recently, the highest wage bill in Italy.) Even if we get better results, I will not put on Galliani-colored glasses, and I will not drink any of this management’s Kool-Aid. This is a problem, and even if a new sporting director comes in and overhauls the squad with a vengeance this summer, it is a problem that will persist if the management continue to adhere to this lack of planning and overall grasp of the big picture. I told you that this was not just another anti-management rant.